The information on this site is an OVERVIEW of how I installed components and made modifications to MY CJ but this in no way means it will work or be safe on yours. 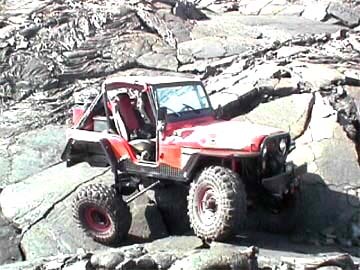 My CJ is built as a street legal (to drive to and from the trails) trail rig and the modification are to enhance TRAIL USE ONLY. If you DO NOT have a excellent working knowledge and background in machanics, DO NOT try these modifications. If you use any information on this site, which you are welcome to, you are doing so at your own risk. Thanks for your understanding and I hope you enjoy my site. This section is for you SUA guys and gals, with info on the suspension I used before. SOON!!!!! Time for The Monster Mouse Motor, In about two weeks I'll be finished building a 421 cu.in. 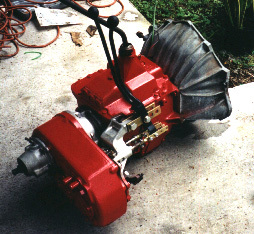 Stroker Small Block Chevy with GM Tuned Port Injection. NEW!!! SM465 with 6.54 frist gear, '80 short output Dana 300 with 4 to 1 Low Range, Custom Drilled Adaptor by Novak to clock t-case up 5 degrees less then level.